But Two Fat Indians in Christchurch has apologised for any offence and say it wasn't their intention to upset anyone with the "Suicide Curry National Championship 2019". Former youth suicide prevention worker Graeme Russell and "No hui just doey" travelling suicide prevention advocate Waata Keating will protest outside the restaurant in Colombo St tonight while the curry eating competition takes place. Russell, who previously worked for the Young New Zealanders Foundation, said he was disgusted at the promotion because it made light of a very serious issue in New Zealand, where the country has one of the world's highest youth suicide statistics. "We have too many suicides in New Zealand for somebody to essentially be making a joke of it. One of our placards says: 'Use your brain, not our pain'." When Russell complained to the restaurant last night he says he was told: "Settle down love. Get over yourself." Keating will park the ute he's been driving around the South Island to raise awareness of suicide, that features the names of suicide victims written on by loved ones, outside the restaurant at 5.30pm. The 48-year-old lost his brother to suspected suicide in January 2017 and said he found the competition insensitive. "It's treating suicide like a game, and so many of us are dealing with or have dealt with someone that's been lost by suicide and it's just disrespecting us by making money out of something that shouldn't be used as an advertising tool." Keating said he was surprised no-one had complained before. "Why hasn't someone spoken up about it?" He wanted the restaurant to change the name of the competition and make a donation to suicide prevention. While there were supporters of the popular competition online - it's booked out - there had also been some backlash on social media to its name. Kyze Ann wrote on Facebook: "This is not ok promoting suicide like it is a joke. Suicide is the highest it has ever been in New Zealand and it is not okay to glorify it in this way. You should be ashamed of yourselves." 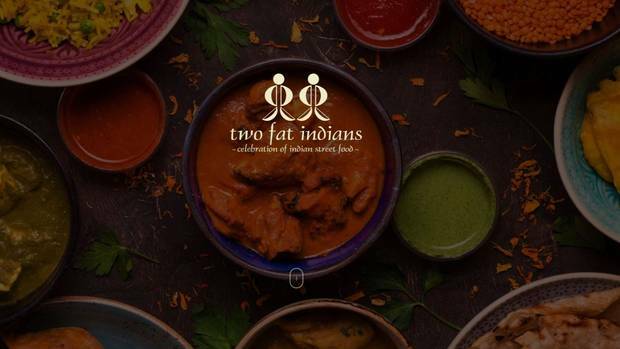 Two Fat Indians owner Nasir Khan said the competition ran in the Indian street food restaurant before it was destroyed in the February 2011 earthquake. Now the restaurant has reopened the competition had restarted. "We never knew it was going to be that insensitive but we realise now. We're trying to change the name but it's too late now. In the future we'll change it to something like 'Hot hot hell curry'." Khan said he had already had the winning T-shirt printed with the name, as well as a trophy engraved and a gift hamper. The winner would also receive a free meal every week for a year. He said he had informed police of the protest and hoped it would be peaceful. "We don't want to upset any people in New Zealand or anywhere in the world. We need to respect everyone's feelings. We're just sorry it's too late this time."